Stories are so much more than simple words on the printed page, as these websites demonstrate. Your child will be able to hear favourite authors talk about their work, enter the world of Harry Potter (what House will the Sorting Hat select for them? ), play games based on classic books and find out more about some of their favourite characters. Log on to look around – then go back to the books and read more! 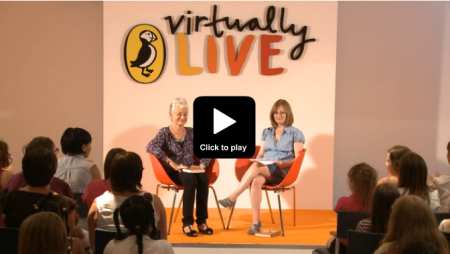 View free webcasts of Jacqueline Wilson, Quentin Blake, Eoin Colfer and other best-selling authors discussing their work and answering children’s questions on Puffin Virtually Live – and register for upcoming webcasts and ask questions yourself! There will be no more new Harry Potter books, but if your child is a fan they’ll love J.K. Rowling’s online experience Pottermore, built around the stories and featuring new content from the author herself. You can explore the series and characters, follow the story and compete for the Pottermore House Cup – all for free. The scenes and sound effects are fantastic, and there are badges to unlock, galleons to find and potions to make… enjoy! 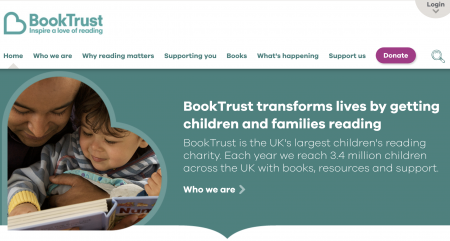 Stories, rhymes, poetry, competitions and book-themed games... the Booktrust website is a treasure trove for bookworms. We love the Bookfinder, the themed booklists for children (looking for ghost stories? Detective stories? Books with strong heroines or books about space? ), the quizzes and the interactive storybooks. 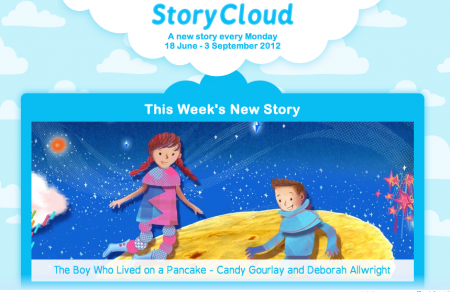 StoryCloud is a collection of online stories to read, listen to and download from children’s story centre Discover. You can choose to read or listen to each of the stories, then look for surprises and challenges in the pictures. Or why not be inspired to write a story of your own? US children’s literacy website, Storyline Online, streams videos featuring well-known actors reading children’s books alongside lovely illustrations. Readers include Kristen Bell, Viola Davis, Chris Pine, Lily Tomlin, Kevin Costner, Annette Bening, James Earl Jones, Eva Longoria and dozens more, and all the books are free to watch / listen to. 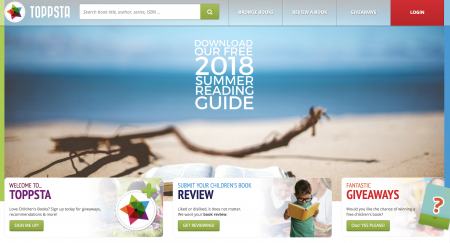 Toppsta is a book recommendation website just for kids, powered by parents' and children's reviews. Find your next unputdownable read by browsing by age, author, illustrator or series; review books yourself or win one of the latest releases. Toppsta is completely free to use and packed with ideas for your next trip to the library!